Prabu Tours and Travels is a premier car & coach rental company founded with a vision of becoming a leader in “Ground Transportation” for both individual and corporate travel. Prabu Tours and Travels is backed by team of experienced Industry experts who have collective experience of more than 60 years. Prabu Tours and Travels have a rich inheritance of providing trusted destination management solutions and Tempo Traveller/Mini Bus rental services in terms to our clients since 2002. Prabu Tours and Travels wish to provide a complete peaceful journey to our esteemed customers. 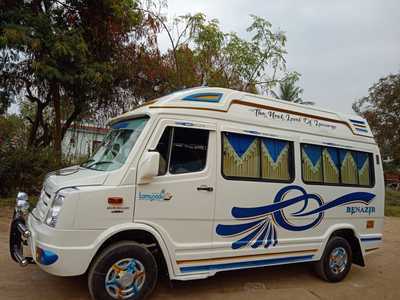 With “Customer is King” approach, we at Prabu fleet rental company, Coimbatore are offering best car rental/bus rental services to all types of travelers. Whether you are travelling alone or in a group, Prabu Tours and Travels offers a right car / fleet for your needs at affordable prices.